Looking for time wasting games that will make you pass time without feeling bored or sleepy? If yes, you found the right Indie Games Day article since this review will give you a brief description of games that will consume your time in a fun manner. From five minutes to multiple hours, these time wasting games available in website and mobile are perfect when you wait for your date, your order in a restaurant or leaving time after work. Playing these are safe for work and do not come with explicit content making them some of the all-time best. 2048 is one of the most rated and favorite time wasting games because of its sleek design, easy goal, and challenging interface. 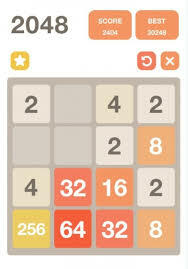 With tiles starting with 2, you have to make a total of 2048. As a matter of fact, to achieve the goal, it will consume you an hour. You may use your keyboard keys or swiping the screen of your phone to navigate the game. Canabalt is truly addictive because it comes with simple gaming interface: an avatar jumping from one roof to another. Upon winning the game, you will not immediately realize that you spend hours or several minutes from playing Canabalt. The goal of Filler is to produce filler balls that will occupy 2/3 of the screen. Just keep in mind the balls that bounce inside the screen because it can pop the balls that you are filling and protecting. Do you remember those magnetic letters on your fridge? If you want to recreate this at this time, Lunchtimers is among the the best pastime apps for you. There are letters on the screen where you will create phrases or words. The good thing about this is it is interactive, since it can be played with other gamers online. Excit! sounds exciting and it is because of its background that appears to be like a spreadsheet, making it safe for work. Search it over the web for you to pass time while at work. Construction is the drama of falling sand wherein there are falling sand, water, salt and oil in the sky for you to create walls, fire and plant material that will leave you astonished when completed. 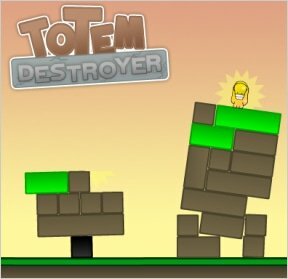 When looking for one of the most challenging yet entertaining games, Totem Destroyer is for you. The goal of the game is to keep the idol from the totem falling as you remove pieces of blocks. The play gets more challenging as you ascend to another level. When you want to be creative while achieving a goal, Magic Pen is perfect for you. With your crayon, you will be tasked to draw lines and circles on the screen to make sure that the ball on the screen will touch the flag. Gaming with Acrobots has no goals to fulfill. No princess to save or mission to accomplish. All you have to do is to see how the creatures interact with one another. Do you remember the therapeutic feeling given by popping bublle wrap? If you want to recreate it virtually, Pop Bubble Wrap is perfect for you to calm your stress and make the time pass peacefully. But if you want more challenge, change the setting to manic mode so that you will measure how many bubbles you can pop in a given time. To conclude everything, there are plenty of time wasting games available over the net, but is wiser if your playing time will be controlled and limited in order for you to do more worthwhile things.